It may be impossible to top The Last Guardian during Sony's E3 keynote, but one of the other early standouts was Horizon: Zero Dawn, a new title previewed by Guerrilla Games, the studio behind Killzone. 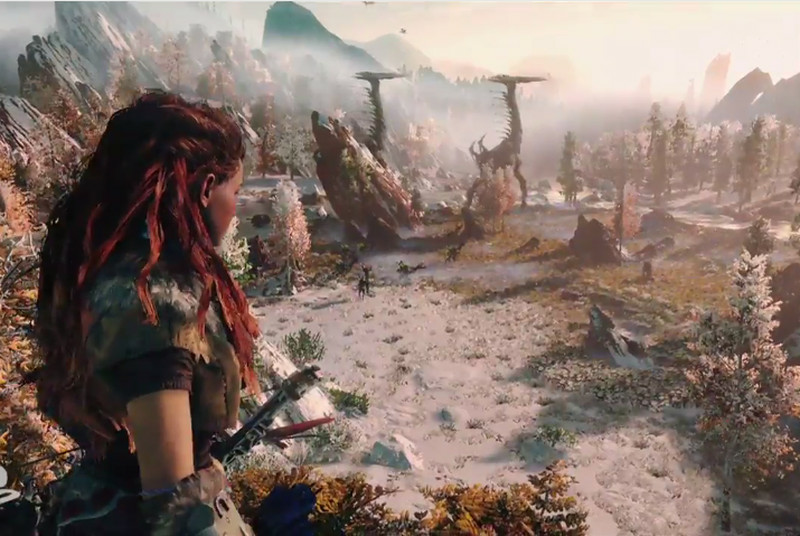 The new game takes place in a neat post-apocalyptic world, where the remaining humans don't quite remember modern civilization and have returned to basic weapons like bows. The other remaining inhabitants of the world, however, are a bit more advanced: the villains appear to be robotic dinosaurs of varying sizes — some of which are pretty huge. A short gameplay clip and trailer were shown, but there's no release date listed for the title just yet.